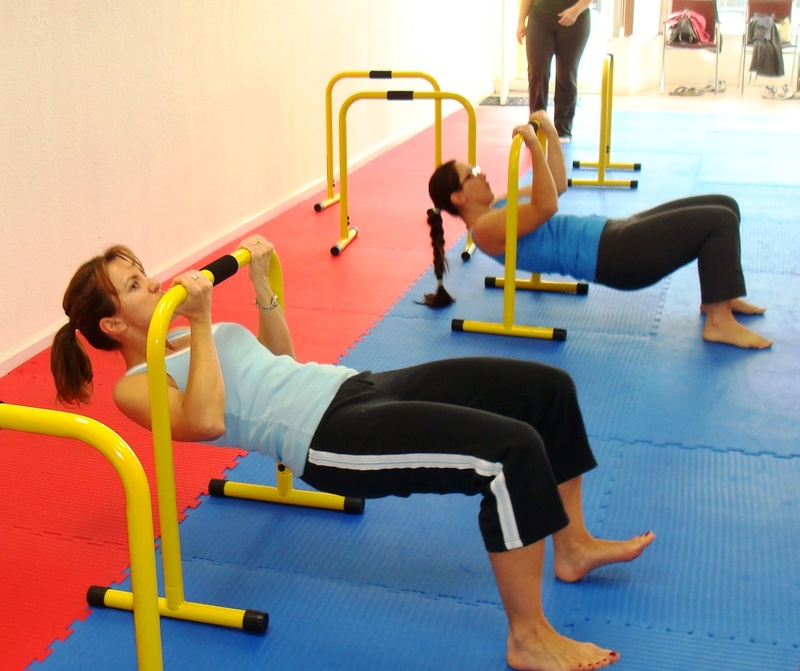 Cutting edge fitness concepts that gets you in the best shape of your life in only 30 Minutes, 3 Times a Week! Years ago it was a lot easier to stay healthy and in shape. The fruits and vegetables and meat you’d buy from your local merchant, or butcher was fresh and wasn’t tainted with hormones and preservatives……. and you didn’t spend a majority of your working hours behind a desk. Today though, an honest day’s work in our (hyper busy) techno-age means (too much) inactive time sitting behind a desk……… and…….. with all the fast food, artificial sweeteners and microwaveable processed stuff the corporate food chain puts in front of us it seems as if the whole system is designed to promote weight gain and bad health. I’m Dr. Joe Robaina. The founder of Robaina Fitness Associates and my job is teach you how to reclaim your natural, right to good health so you can live a more fit, higher quality, longer and more prosperous life. For the last 20 years we have helped thousands of people just like you achieve fitness goals that they had previouslythought to be out of reach. From world class athletes to stay at home moms, Robaina Fitness is one of the most trusted names in Miami when it comes to health and fitness because the Robaina Reputation is based on one thing and one thing alone and that is – results. Our approach to your health and fitness is something you’ve likely never experienced. You are not a number, you are not a member. We know you by name and we treat you with respect and you’ll have clear fitness goals that includes what and when before you even get close to your first workout. We are not a gym. We don’t sign you up and then tell you to hit the mat. That’s not our style, or our philosophy. You really are in the best of hands when it comes to safe exercise programs that deliver results. 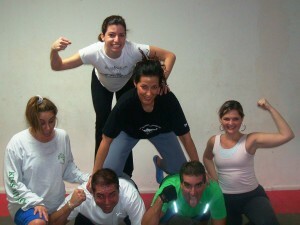 The Robaina Boot Camp experience is an experience in Fitness: Not weight lifting or weight training – You won’t find racks of dumbbells lined up against a wall with people staring at themselves in the mirror, grunting and groaning as the sweat pours off their brow doing endless bicep curls as they strive for “The Pump”. What you will find at Robaina Fitness Associates is a close knit, highly motivated group of member associates that span all walks who of life who are dedicated to getting in the best shape of their life and achieving the highest level of functional fitness (rather then 18 inch biceps). I”m not knocking 18 inch biceps but there is no direct correlation between the size of your biceps and the quality or length of your life. The quality of your life is governed by your fitness and more specifically your functional fitness. 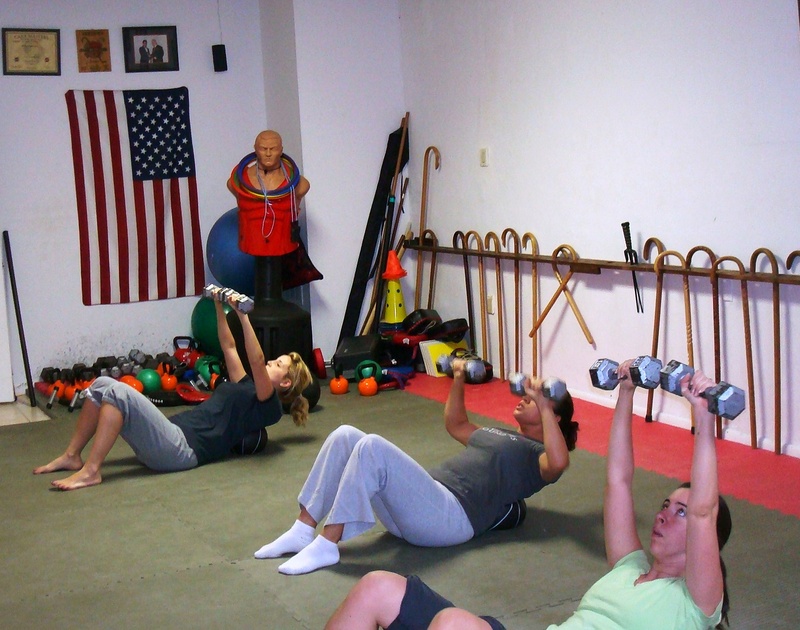 Our specialty and area of expertise is in helping you achieve the highest possible level of functional fitness. This means optimal health for all aspect of your anatomy. Your heart, lungs, your muscles, your blood, the way your body processes nutrients and every aspect of your physiology from head to toe. Functional fitness is better overall fitness. You will look great because what we teach (and preach) means you have to burn fat. You must get leaner and more toned. Your body has no choice. However, beyond the obvious physical advantages of having the ‘hot’ body you’ve always wanted you’ll also experience these other quality of life benefits. Fewer nagging aches and pains -Listen to what Mary says in her video below about her back. Greater mental alertness – Improved circulation across your entire body, includes your brain. Improved productivity – With the energy and stamina you get from you’ll be able to work the entire day without the nagging energy lull. Less stress – better circulation, improved physical and mental strength all means that the vessel called your body will be more capable of fending off the daily stress factors. Better more restful sleep – With all physical factors working optimally your body will easily fall into a more peaceful sleep and you’ll wake up ready. In the video below, listen to Mary. Her results exemplifies and is a testimony to functional fitness. She stared with 36% body fat and is now at 19% and no longer in therapy. What is really great is that you don’t have to spend hours and hours in the gym. You can achieve the same exact results Mary has achieved by only spending 30 minutes with us 3 times a week. Some people are skeptical I tell them they only have to work out 3 times a week for 30 minutes. Most of us have been conditioned to believe that the more time you spend in the gym the better. Nothing could be further from the truth. In fact our philosophy is – “More Is Not Better! Better is Better”. Our process is well defined, finely tuned and leaves nothing to chance when it comes to helping you achieve your fitness goals. The process is the result of years of experience working with thousands of people and is a “whole body” approach to fitness. This means we take an outside in and inside out approach. Taking an inside out approach means a customized eating strategy we call “Eat and Be Lean” This is not a 3rd party program, but a program developed by Robaina Fitness Associates. We own it we use it and it will teach you…. Why you’re eating what your eating. Everything is geared into transforming your physiology so that you’ll be eating for maximum fat loss and your body will become a 24.7 “FAT BURNING MACHINE”. 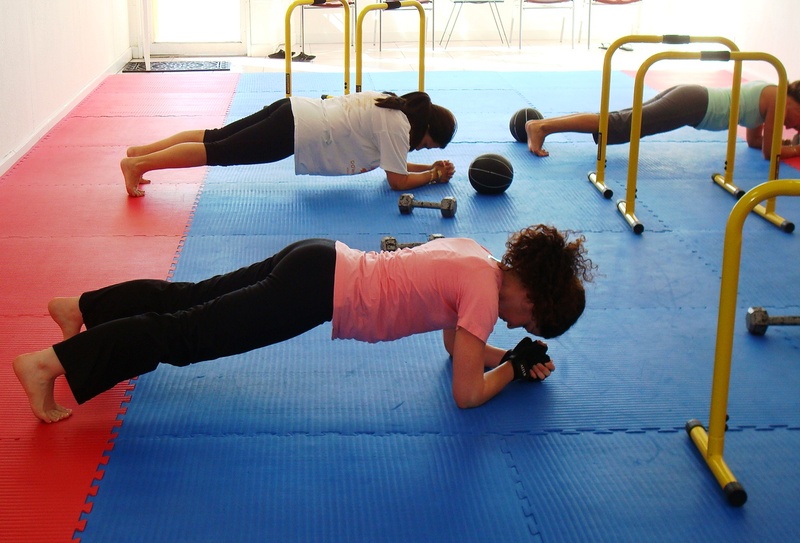 This means that even when you’re not at the bootcamp that you body will be ‘naturally’ working towards achieving optional functional fitness and a leaner, more toned and fit body. Now, I know what you’re thinking; “Dr Joe will make me eat a bunch of stuff that has no or little taste, tastes bad and it won’t be fun”. I get this question a lot but it isn’t true. What we teach is an eating strategy that does tell you the kinds of foods you should be eating (I mean you do want to lose fat. right?) but the meals are flavorful. The other part of this is that as you come to the boot camp you’re desire for the kind of (not so healthy foods) will diminish and you’ll come to appreciate (and this is important) the reasons for eating. It is by having a custom fat burning, fat melting eating strategy that the fat loss is then facilitated by the boot camp work out, because without a custom eating strategy there is not enough hours in the day to work out that is going to help you reach your fitness goals. You could workout 24×7 but if you don’t eat right, your body will continue to work against you rather then for you and you’ll never, reach your goals and never have the body you want. The Robaina Fitness Boot Camp workout is an intense, non stop 30 minutes of physical activity that builds strength, endurance and lean body mass. To put the whole thing in perspective for you, the custom eating strategy is going to kindle metabolic fat burning fire and the more you are able to follow and adhere what we tell you to do when it comes to eating the hotter that fat burning fire will become. The role that Boot Camp plays in the process is the role of pouring gasoline on that fat burning metabolic fire. Results, The Breakfast of Champions-We Guarantee It! If you’re still not sure if Robaina Fitness Associates can help you achieve your fitness goals and dreams, then be assured that if at anytime during the first 30 days if you are not satisfied with your progress or results then we will refund your investment in total with now questions asked.